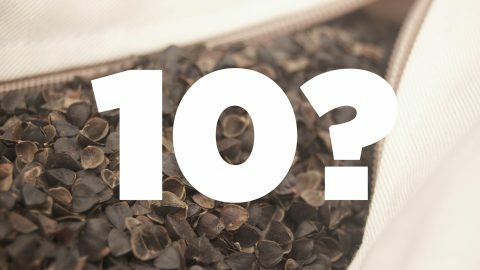 Buckwheat Pillow Sizes- What Should I Get? Years ago, I ordered my first buckwheat pillow. I assumed I was getting a standard-sized 20×26″ pillow, but I had unintentionally ordered one half that size. It was comfortable and I fell in love with it, but still felt a bit too small for my larger stature. I’m pretty tall (6’2″) and a side-sleeper; I suspected a larger pillow would provide better support for me. 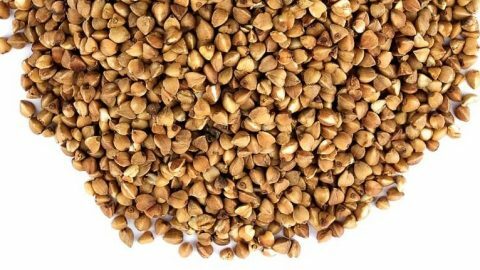 For someone with a smaller stature, however, a small buckwheat pillow can provide more than adequate support. A smaller pillow has an advantage in that it’s considerably less bulky than a larger one. 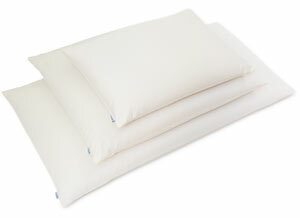 A 14×20″ buckwheat pillow weighs half what a 20×26″ pillow does and is pretty easy to shift around while in your bed. My kids both use small buckwheat pillows and prefer them to the larger size simply because of the weight advantage. Worth noting: I’m willing so sacrifice the bedroom’s aesthetics for comfort any day, but my wife wasn’t particularly thrilled with the idea of this new odd-sized pillow that didn’t fit our bedding set. You can certainly find plenty of 14×20″ pillow cases in flat colors at large retailers like Amazon, but you aren’t going to get the latest designer patterns. After many years of industrial production, the most popular or “standard” pillow dimension emerged: 20×26″. Most North American consumers, myself included, prefer a standard-size pillow. A good deal of that preference, I’m sure, is due to acclimation. We grew up with these things; what’s familiar is comfortable. 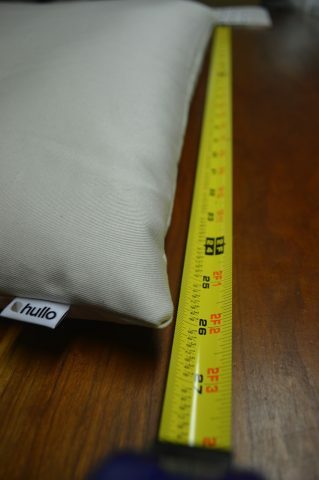 Soon after getting my small buckwheat pillow, I decided I’d be better off with a larger one and made my own standard-sized pillow, which ultimately became the first Hullo prototype. While considerably more bulky, (around 8.5 lb. ), I found it to be even more comfortable than the small one. 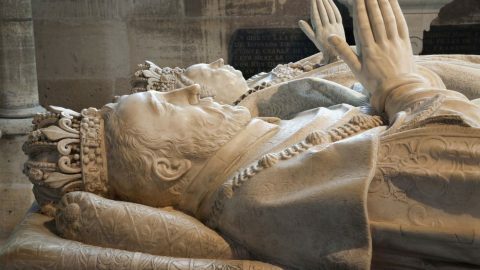 It contained considerably more volume which allowed for better support over a greater surface area. Of course, it also fit inside my wife’s beautiful new pillowcases and looked great on our bed. We definitely see a preference for the standard size in our Hullo customers. The sales numbers tell us that the standard size works best for most. 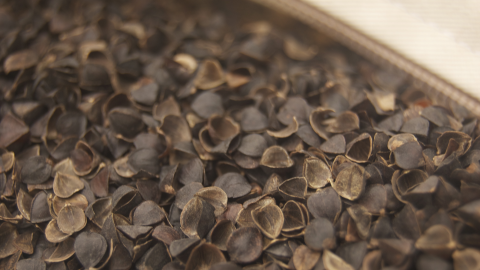 A king size buckwheat pillow is substantial—it’s a full 10″ wider than a standard pillow. Not only are they large, they’re heavy—a full pillow weighs around 14 lb. They’re not easy to toss around (forget about pillow fights), but the fact that it’s so long makes moving it less necessary. You can roll over and keep on rolling. Like a standard size buckwheat pillow, they’re capable of providing plenty of support for taller sleepers. They of course fill up the space on a king size bed and fit those awesome new shams your mother in law just got you for Christmas! If the pillow is for a child or someone on the petite side, I’d definitely recommend a small. Those who want to fill up their gigantic sleigh beds should get a king. For most, a standard size buckwheat pillow is best. It’s what I use and I sleep pretty well at night. Hullo™ is available in three sizes and starts at $59 with free shipping.